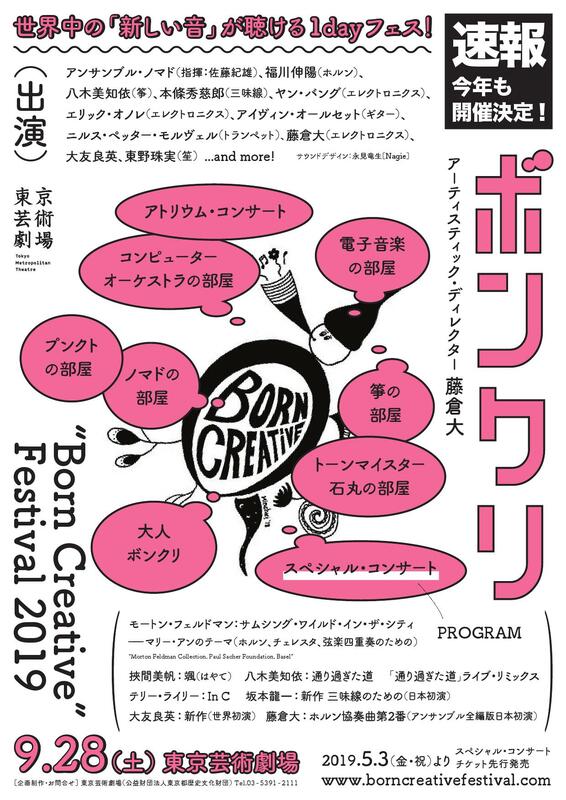 “Born Creative” is an event where everybody, 0 year olds onward, can experience and enjoy the unusual music created by today's most exciting musicians who have not yet lost their 5 year-old creative minds. This is an opportunity for you to join, co-create, and enjoy a range of music, such as improvisation, traditional Japanese instruments, electronics, and contemporary ensemble music. In Soma city, Fukushima, I hold a series of music composing workshops. I have been working for several years with local children ranging from 5 year-olds to some high school students. 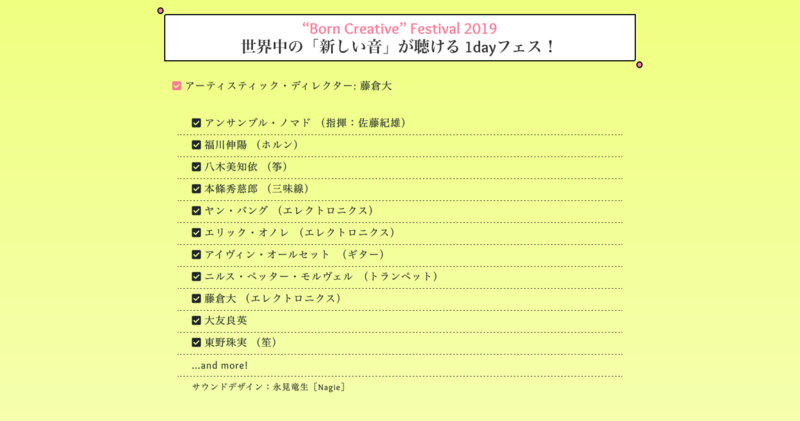 To our workshops we also invite some renowned contemporary music players from all over the world (some will also appear in Born Creative Festival). Through working with these guest musicians, the children are exposed to a variety of unique and new sounds. In our workshops, the children make their own music. In my class no rules. Any sound, any music is allowed. Teachers (me included) are just there to assist these young composers. As one 5 year old said “I want to make a strange music with strange sound!” So he should! All the music created in the workshop is notated by young composers themselves and played by visiting professional musicians on the spot (sometimes being told by 5 year old "That is not how you do it". We keep trying until young composers are happy). Notation makes it so you can communicate with musicians whom you have never met until now, nor share the language you speak. It is a wonderful experience for guest teachers too. After several years of holding these workshops, I came to the thought that all human beings love new sounds. On the journey to our adulthood, somehow the creativity once we all had inside us fades and hides away. On September the 28th, Tokyo Metropolitan Theater will be filled with our ‘new music‘ throughout the day. Come, join and embrace the new sounds from all over the world which can give you a year's worth, if not, a lifetime's joy of music.